Johann Freidrich Bottger, German chemist and ceramicist, c1895. Bottger (Botticher, 1682-1719) was the originator of Dresden china. 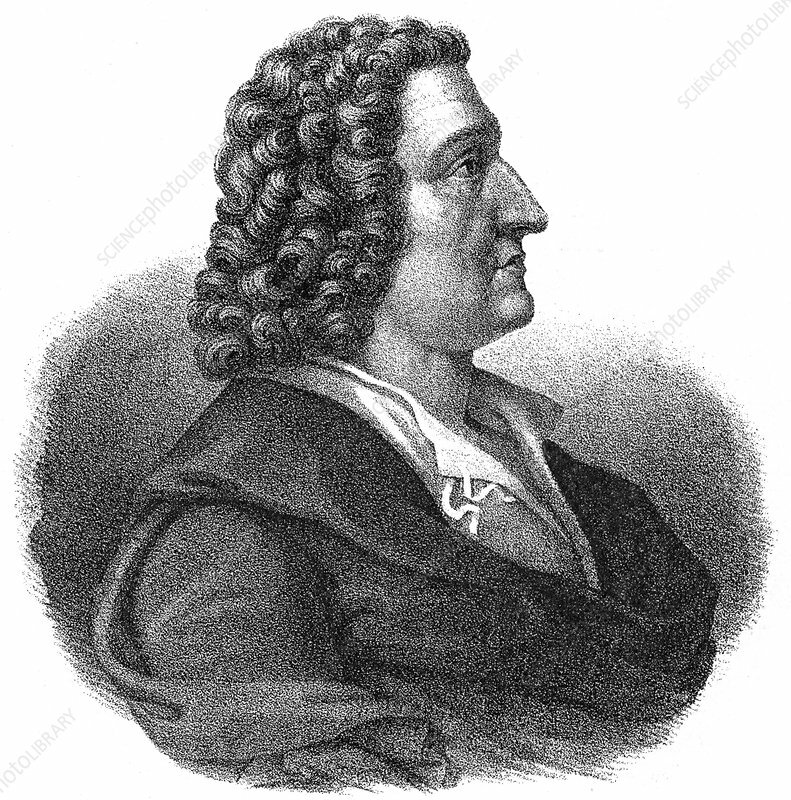 To protect the trade secrets, he and his colleagues were evacuated from Dresden when Sweden invaded Saxony in 1706. Under royal patronage, in 1708 he became director of large ceramic factories, and in 1715 he perfected European white porcelain. In 1716 he was put in prison for trying to sell the secret of the process. From Der Stein der Weisen.